Kolkata presents homeowners with luxurious homes. 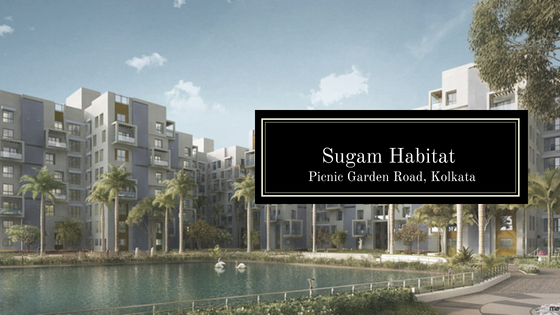 If you are looking for a sophisticated residence in the city, you can go for Sugam Habitat. The residential complex has been developed on Picnic Garden Road, one of the most popular localities of the city. The residents can enjoy a wide range of luxurious lifestyle and healthcare amenities in the complex. If you are looking for a good mix of elegance and comfort, you can buy these homes. The estate has been strategically developed, considering the location advantages of the area. The demand for Property in Kolkata is on the rise. Residents looking for quality homes in the city may be interested in these apartments. The prices of apartments in Kolkata are on the rise. Residents from various parts of the country are interested in buying these homes. The social infrastructure in Kolkata is well-developed. The residents can enjoy the traditional heritage of the city. It has a number of places of interest. Besides, it is one of the most commercially important cities in the country. Residents looking for exotic apartments in the city should consider buying a home here. The prices of property in the area are on the rise. 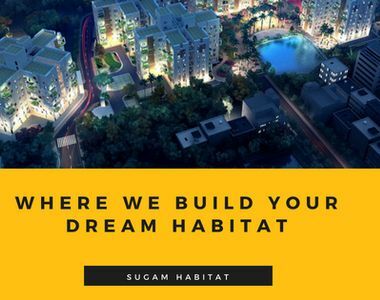 Have a look at the Sugam Habitat price list. For investors and homeowners willing to buy these apartments, this is the right time to make the investment. The residential complex comes with sophisticated apartments. The interiors are elegant and have been integrated with sophisticated furnishings. You will enjoy these apartments and can live up to your housing dreams in these abodes. If you have a fascination for green living facilities, you will enjoy the lifestyle here. The residential complex comes with extensive green zones and beautifully landscaped gardens. In case you are looking for a home close to nature, you can get an apartment here. The intelligent floor plan ensures the availability of a large public area for the residents. The residential complex has over 65% open areas. Besides, it comes with a wide range of sophisticated amenities for the residents. These include swimming pool, gym, steam room, children’s pool and much more. It has also got a banquet, library, games room, and lounge. The residents can also get access to the zen garden, yoga and meditation decks. Children can play in their dedicated play areas in the complex. The residents can spend quality time in the clubhouse, socializing with others. The eco-friendly construction of the building is another feature to look out for. The residential complex also comes with a concierge, basketball court, indoor games room, palm garden, and a central lawn. The residents can hang around in a number of areas within the complex, like natural water bodies and waterside boulevards. The important commercial areas in Kolkata are located close to the residential complex. The well-developed transportation system in Kolkata ensures a fast connectivity to these regions. The residents can also reach the places of entertainment from the estate in quick time. Several shopping malls, multiplexes, bars, and restaurants are located close to the residential complex. 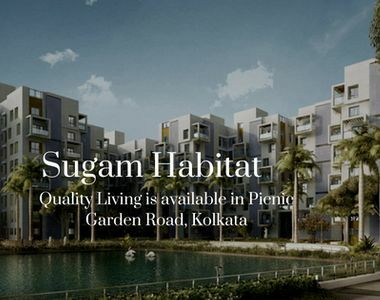 When you get an apartment in Sugam Habitat Picnic Garden, you can easily get across to these places through the dense network of roads in the city. A number of schools and hospitals are located close to the estate. The IT sector in Salt Lake and New Town can be easily reached from the residential complex. Other important commercial hubs in the city, in Park Street, Esplanade and Central Avenue can also be reached easily from the estate. Homeowners looking forward to acquiring Residential Property in Picnic Garden Road should buy an apartment in this residential complex now. The prices of apartments are rising. You can enjoy a Luxurious Home in Kolkata while residing close to nature.